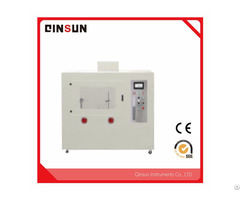 · The size of each side of the chamber is 3000mm±30mm. The internal chamber is made of SUS 304 stainless steel, stuffed with calcium silicate fireproof material . 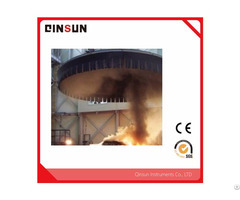 The external chamber is made of iron with powder coating processing. · All of the tooling in the interior is made of stainless steel, beautiful and anti-corrosive. · The total area of the vent hole is 50cm2±10cm2, and it shall be always open during the test; the height of the guard board is 1000mm. 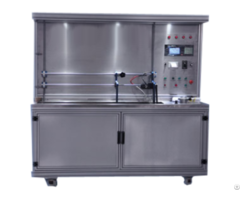 · Configure wire and cable test rack and weights as per standard requirements. · The door of the test chamber comes with a glass window on opposite sides, installed with sealed and transparent windows ( Min. 100mmx100mm) for transmitting the light of horizontal optical measuring system, 2150mm±100mm above the ground. · Light source: Halogen lamps with clean crystal bulbs and tungsten filament; 2900 k color temperature;100W, DC12V, nominal luminous flux 2000lm~3000lm. · The range of light density 0%~100%. · Allow installing special light source for smoke density and import high resolution photocell receiver on the outside wall. 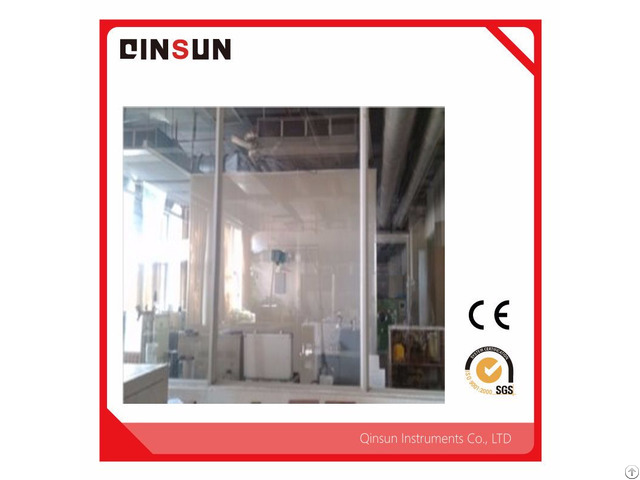 · The laboratory is equipped with door and window seal structure. · The standard power of light source is 100W and the standard voltage is DC 12V.